December 2018, after the inauguration of the President of Georgia, marks also a commencement date for the new constitutional amendments. As a result of these changes, Prosecutor’s Office of Georgia was separated from the Ministry of Justice and became a fully independent agency. The head of the institution is the Prosecutor General, while independence, transparency, and effectiveness of the system are guaranteed by the Prosecutorial Council. At first glance, this reform is one of the most significant achievements for Georgia, as for years international and local organizations were advocating for the reform of the prosecutorial system in this direction. However, the reform may ultimately prove to be disappointing, if in the transitional period the Prosecutor’s Office fails to demonstrate that it is an institutionally independent, strong and unbiased body whose decisions cannot be influenced by the ruling elite or influential individuals. The events surrounding the uninvestigated murder on the Khorava street in 2018 significantly tarnished the reputation of the Prosecutor’s Office and damaged already-low public trust in the institution. Due to these events, 2019 will be one of the most significant year for monitoring the institution’s activities. However, before doing so, it is essential to understand the amendments in the law and the legal realities at the onset of 2019. Independence accorded to the Prosecutor’s Office of Georgia is an unequivocally positive breakthrough. The Prosecutor’s Office has to ensure impartiality of its activities and impervious nature of the rule of law; otherwise, it won’t be able to perform the functions mandated by the Constitution. Due to these risks, independence of this institution, and above all, its deliverance from any influence are of crucial importance. The recent events have demonstrated that the condition of democracy in Georgia is still fragile and the state institutions are often amenable to being affected by the priorities of political agenda. The Prosecutor’s Office needs to be dissociated from the political process, as political neutrality is one of its foundational principles. The Prosecutor’s Office is one of the essential institutions in all democratic countries, upholding rule of law, protecting human rights and fighting crime, effects of which are reflected in the stability and development of the country. The problems associated with the Prosecutor’s Office in Georgia can also be found in some of the Central and Eastern European countries (e.g. Montenegro, Serbia, Cyprus, etc.). Most of these countries have addressed the issue by giving full independence to the institution. Evaluations from the European Union and international organizations demonstrate that through independence Prosecutor’s Offices in these countries have advanced significantly, in terms of personnel, institutional capacity and accountability. 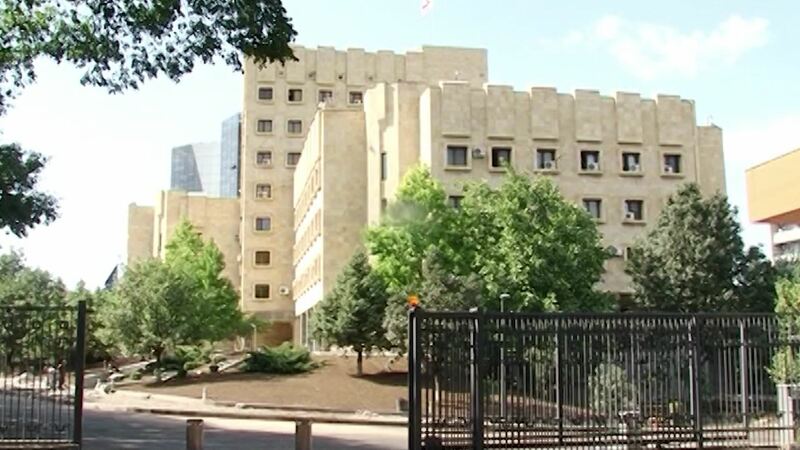 International and local organizations have been expressing concerns for years that the Prosecutor’s Office of Georgia was not free from political interference. Despite the reforms – in 2013 when the Minister of Justice was stripped of prosecutorial powers and could no longer interfere in individual cases and in 2015 when the rules of appointment and dismissal of the Chief Prosecutor were changed and these powers were given to the Prosecutorial Council – depoliticization of the Prosecutor’s office could not be achieved. The issue of freedom from political interference at the institution was repeatedly mentioned in the annual recommendations of international organizations. Thus, the final solution was mandating full independence to this institution. This was the main rationale in giving independence to the Prosecutor’s Office of Georgia. Will the Prosecutor’s Office of Georgia develop into a strong, politically neutral institution based on rule of law, that enjoys public trust, protects interests of citizens and doesn’t serve political interests? This shall be demonstrated in the near future, however, until then it is important to review the changes in the legislation affecting the body after the acquisition of independence. The legislative changes were reflected in the Constitution in 2017 and in the Organic Law on the Prosecutor’s Office in 2018. The amendment of the organic law was led by the Legal Issues Committee of the Parliament of Georgia, where a special working group on the topic was created. Members of the Parliament and the Government, as well as, non-governmental organizations participated in the working group. However, the Parliament was not able to lead the process with equal participation from all parties, the meetings were conducted in an accelerated manner and as a result, the organic law was also adopted in an accelerated manner. However, this was done with an understanding that the Parliament would review the law during the Spring session, after the publication of Venice Commission conclusion. The non-governmental organizations have presented numerous remarks on the organic law before its adoption. Critical conclusions of the Venice Commission were also published after the adoption of the law and the opinions expressed in them often coincided with those of the non-governmental organizations. The experts of the Commission noted in their conclusion that despite the fact that parliamentary discussions on the Organic Law on the Prosecutor’s Office were taking place in parallel to their visit, the recommendations from the Commission would be reflected in the future amendments of the law. a) Amendments to the Constitution of Georgia - Provisions on the judiciary branch of the government and Prosecutor’s Office are under one chapter in the Constitution of Georgia and regulations regarding the Prosecutor’s Office are all under one article. Independence of the Prosecutor’s Office is now guaranteed by the Constitution. The Prosecutorial Council became a constitutional body and Chief Prosecutor was substituted by Prosecutor General. General rules on the election of the Prosecutor General were defined in the Constitution, while their dismissal procedure was defined as impeachment – only in cases of Constitutional breach and signs of crime in their activity, the Parliament has the right to raise the issue of their dismissal. b) Organic Law of Georgia on the Prosecutor’s Office - For harmonizing legislation with the Constitution of Georgia, the Parliament adopted the Organic Law on the Prosecutor’s Office. Main changes regard the Prosecutorial Council and selection procedure for the Prosecutor General. However, these changes in the law are of technical character. These amendments will be reviewed in detail below, however, as has already been mentioned, the Parliament is working on making changes to the law and its correspondence with recommendations of the Venice Commission will be reviewed during the Spring session. The Prosecutorial Council is not a new body. This collegial body exists already for 4 years and its main functions are selection of candidates for the Prosecutor General, review of the conduct of deputy General Prosecutors and review of the report of the Prosecutor General. These limited functions could have been justified in the reality where the Council wasn’t a constitutional body and its goals – ensuring independence, transparency, and effectiveness of the Prosecutor’s Office – weren’t constitutionally defined. Preserving this limited authority of the Council in the new legal realities was a subject of harsh criticism from the non-governmental organizations. This issue was also criticized by the Venice Commission. a) Composition - Until the commencement of the constitutional amendments, the Prosecutorial Council consisted of 15 members, the Minister of Justice being an ex officio member and a chairperson. Others included: 8 prosecutors elected by the conference of prosecutors, 2 Members of the Parliament (1 from the parliamentary majority and 1 selected from non-majority group), 2 judges elected by the High Council of Justice and 2 members selected from candidates proposed by the academic community, members of Association of Lawyers and/or non-profit (non-commercial) legal entities. As according to the new Constitution, all members of the Council need to be elected and the Chairperson of the Council is elected by the members, technical changes were made to the Organic Law on the Prosecutor’s Office. The Minister of Justice will no longer be a member of the Council and its Chairperson, however, he/she will propose his/her own candidate for a member of the Council to the Parliament, as a result, a person proposed by the Minister of Justice will be in the Prosecutorial Council. This is the only change made to the Council composition rules, which became a target of the Venice Commission criticism, raising the issue of the number of prosecutors and low representation of the civil society in the Council and called upon the Parliament to increase the number of the civil society representatives in the Council. At this moment no representative of the civil society is a member of the Council. The non-governmental organizations pointed to the high number of high ranking political officials in the council (Minister of Justice, Members of the Parliament) and criticized inclusion of judges in the Council. However, the Prosecutorial Council is composed based on the current rules of the Organic Law and non-governmental organizations and the Venice Commission await legislative changes. b) Functions - The functions of the Prosecutorial Council haven’t undergone any significant changes. Its functions previously included approval of the candidate for the Chief Prosecutor, proposed by the Minister of Justice, disciplinary review of the conduct of the Chief Prosecutor and deputy Chief Prosecutors, review of the report of the Chief Prosecutor, development of recommendations and their presentation to the Chief Prosecutor. These functions have undergone only one change – instead of reviewing a candidate proposed by the Minister of Justice, the Council will select the Prosecutor General based on consultations. And as, the Prosecutor General can only be removed through an impeachment clause, the disciplinary functions were removed from the Council. The Venice Commission commented on the functions of the Prosecutorial Council, stating that its new constitutional role – to ensure independence, transparency, and effectiveness of the Prosecutor’s Office – will be difficult to accomplish through the new law. Just selecting a candidate for the Prosecutor General cannot be considered as an effective mean of fulfilling the Council's constitutional role. - reviews appeals and statements. Taking into account such wide authority of the Prosecutor General, the need to expand the authority of the Prosecutorial Council becomes even clearer. Before the adoption of the law, the non-governmental organizations were recommending to the Parliament to divide the functions between the Prosecutor General and the Prosecutorial Council. This position is shared by the Venice Commission which recommends that the Council for Career Management, Ethics, and Incentives be under the Prosecutorial Council and the role of the Council in the career management of the prosecutors be broadened. Additionally, the report on activities of the Prosecutor’s Office, presented to the Parliament and the Prosecutorial Council by the Prosecutor General, must include a written opinion of the Council and it should be an inseparable part of the report. Another new addition to the Organic Law on the Prosecutor’s Office is advisory bodies of the Prosecutor General; specifically: the Council for Career Management, Ethics, and Incentives and the Council for Strategic Development and Criminal Policy. Establishment of these bodies is important, as the Prosecutor General takes decisions about the above-mentioned topics based on their communication with these bodies. However, these bodies are mainly of consulting character. Additionally, according to the Venice Commission, taking into account the new constitutional role of the Prosecutorial Council, the Council for Career Management, Ethics, and Incentives should be under the Prosecutorial Council. - reviewing and making final decisions on appeals in the Appeals Council. b) The competencies of the Council for Strategic Development and Criminal Policy are defining and refining plans on main directions and development, programming, and needs assessment of the prosecutorial system, reviewing and issuing recommendations on the development of the guiding principles, strategy and action plan of the criminal policy. c) The Appeals Council is a temporary consulting body and it reviews appeals of prosecutors and investigators of the Prosecutor’s Office regarding their evaluation. An evaluation system exists for evaluation of prosecutors’ performance since 2017. However, the regulatory norms of the evaluation were not detailed in the Law on the Prosecutor’s office, the new Organic Law on the Prosecutor’s Office includes a chapter on performance evaluation. The Organic Law includes provisions on performance evaluation of the prosecutors, and appeal rules and procedures of such evaluations. The new Organic Law on the Prosecutor’s Office expands the parliamentary oversight over the Prosecutor’s Office. The old legislation limited the parliamentary oversight to receipt and discussion of information from the Chief Prosecutor by the Parliament, which could have been provided based on a parliamentary request or an initiative from the Chief Prosecutor. - programs of professional development and retraining of prosecutors. The report should not include information about investigations of specific criminal cases, judicial review or specific circumstances of individual cases. The Prosecutor General (or their deputies) are required, if requested, to attend parliamentary, committee and commission sessions, answer questions and present a report on its activities. However, the Parliament is required to submit discussion topics to the Prosecutor General in advance, and the General Prosecutor is permitted not to respond to topics unknown to them in advance. Despite the fact that 2019 started with significant reforms at the Prosecutor’s Office of Georgia, there are crucial flaws on the legislative level, which could create challenges for the body. To prevent such challenges, it is essential that the composition and functions of the Prosecutorial Council be reviewed. Participation of political subjects (e.g. Members of the Parliament, a representative of the Minister of Justice) in the Council should be minimized. Additionally, the judge members of the Council will undoubtedly encounter conflict of interests in case the issue of expansion of the Council competencies should be raised, therefore they should not be members of the Council. Representation of civil society in the Council must be increased. Without broadening of the Council functions, it won’t be able to perform its constitutional role. Therefore, it is essential the issues of staffing be divided between the Council and the Prosecutor General, the role of the Ethics Council be assigned to the Prosecutorial Council, the Prosecutorial Council should be given actionable role in preparing the report on the Prosecutor’s Office. These are essential legislative changes that are urgent, monitoring of their implementation in practice will be crucial. Analyses has been produced by the Institute for Development of Freedom of Information (IDFI) with the assistance of the European Union (EU). Its contents are the sole responsibility of IDFI and do not necessarily reflect the views of the EU.